Before you recycle that soda bottle, scrap that old T-shirt, or toss that broken china plate, ask yourself: “Could I use this to make something fabulous?” Impossible? Think again! 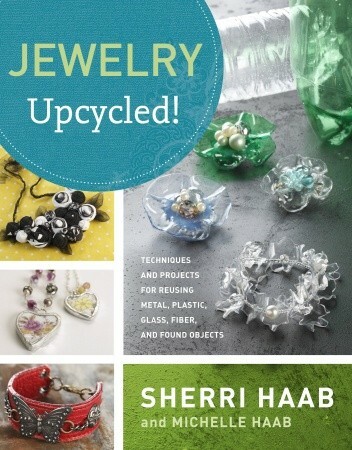 In Jewelry Upcycled!, jewelry expert and bestselling author Sherri Haab has teamed up with daughter Michelle Haab to show you how to transform metal, glass, plastic, fabric, and found objects—items you might otherwise recycle or throw away—into fun and exciting jewelry designs. 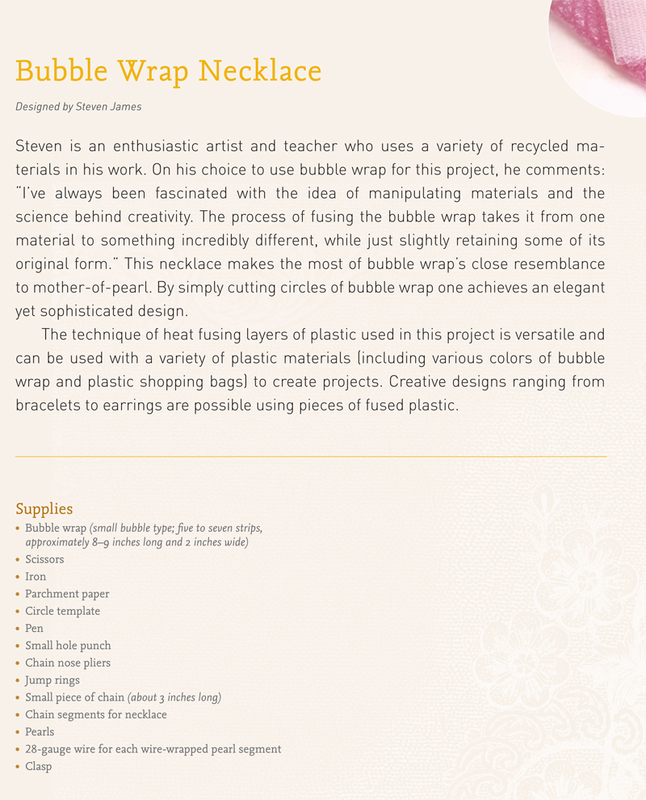 Explore the creative possibilities of these everyday materials in resourceful and innovative ways: Repurpose plastic bottles into pretty charms, turn broken cassette tapes into braided bracelets, and fashion one-of-a-kind pendants with found objects. 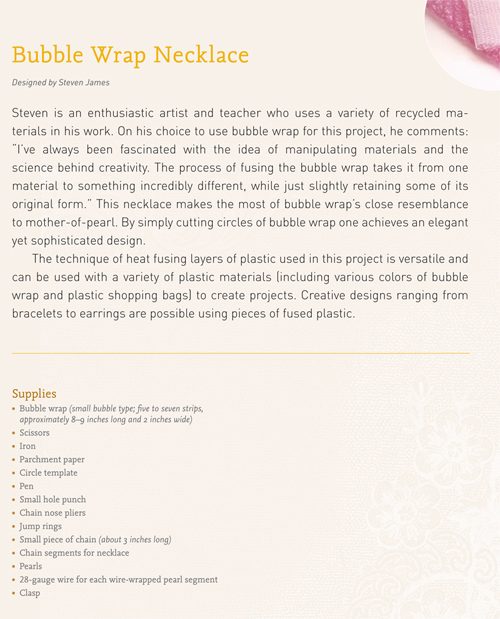 Check out all of Potter Craft's book excerpts on Craftster! Click here! 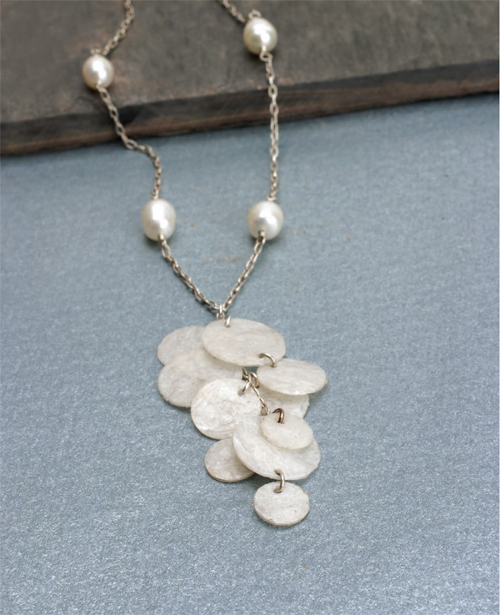 At first glance, the disks look like little shells! Thanks for the tutorial, Potter! 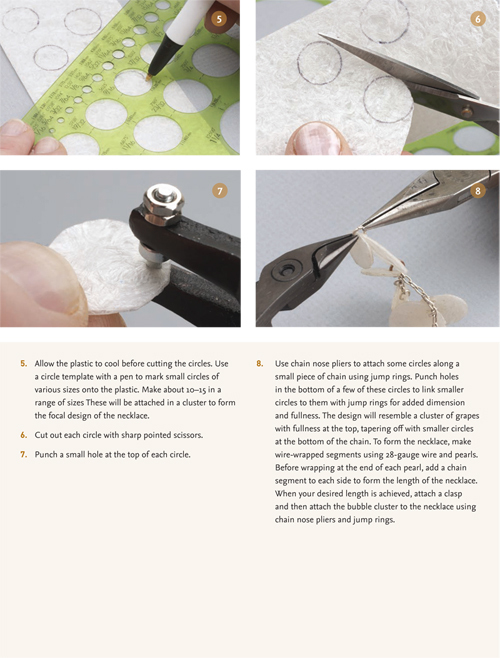 I had to read the whole tutorial after seeing it on the blog, I kinda couldn't believe that used to be bubble wrap! Very cool! I thought of your Video safety tips when I read it! Must use proper ventilation. 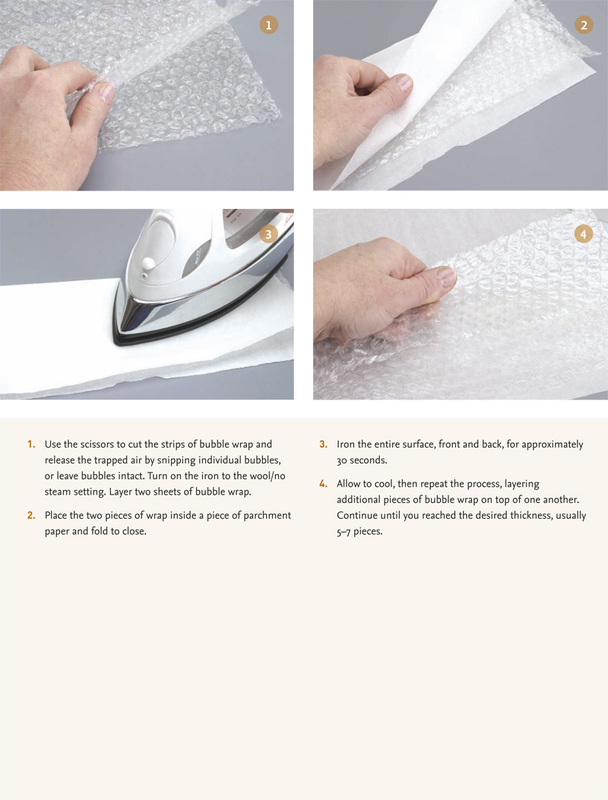 I have never thought to fuse bubble wrap. I'm going to be adding that to my bag of crafty tricks. Wow, what an awesome idea! There's no way I would have guess that used to be bubble wrap. oohhh this is a great technique! I want to make different shapes!! Want to get notified instantly when someone adds a project of yours as their favorite? Support Craftster and unlock more features as a Friend of Craftster! I thought the first picture was little shells too! I was trying to figure out where the bubble wrap came into play.